Silicon ballet: will technology affect the future of dance? 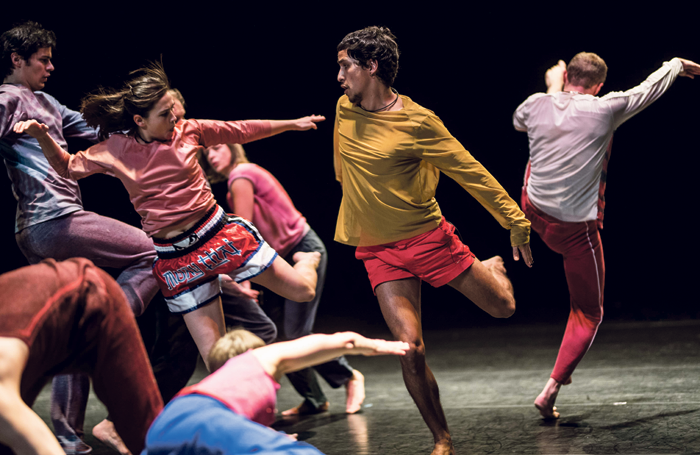 As part of Lyon Dance Biennale , three European institutions – Theatre de Liege in Belgium, Sadler’s Wells  in the UK and Maison de la Danse  in France – will co-host an event in September billed as a “hackathon for dance”. A hackathon being when various technologically minded people come together for a short intense period of time to collaborate on software or other tech projects. The Dansathon borrows this idea, bringing together interdisciplinary teams working in dance, technology, design and communication. Running for 72 hours, the programme will combine their skills and ideas to explore new territories for the creation of dance and for audience development. The BNP Paribas Foundation for Culture  supports arts and culture projects across the world, mostly focused in Europe. It has been supporting Maison de la Danse for a remarkable 33 years. Majorie Carre, who runs the performing arts programme at BNP Paribas, tells me: “We of course ask ourselves questions about how to innovate, how to collaborate, how to develop new approaches to creation, something that creates something different, and the approach of hackathons seems to us very appropriate. We work with artists and organisations in a long-term way to support the development of artists and ideas – we don’t support projects on a short-term basis, but rather the path and trajectory of an artist. 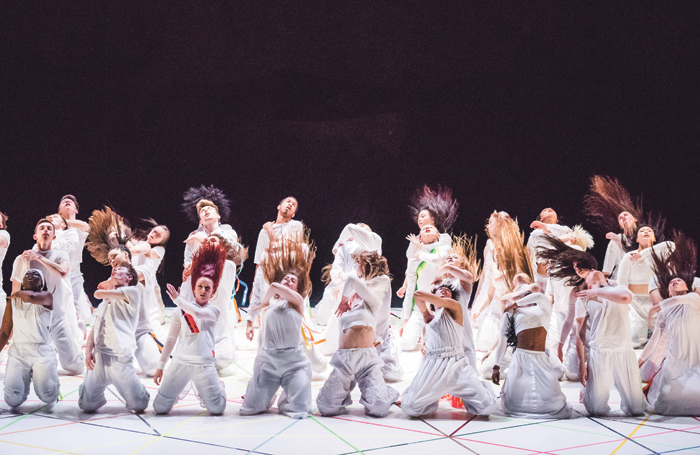 For example, we’ve recently started supporting Hofesh Shechter  [and] we’ve been supporting Sidi Larbi Cherkaoui  for six years. 1. World-renowned Akram Khan is at Sadler’s Wells in May/June with his last performances as a dancer in a full-length piece . 2. Rambert  is performing at Bergen International Festival in Norway in June, before heading to Edinburgh in November. 3. Northern Ballet  presents Cathy Marston’s Jane Eyre in April-June. The ballet was nominated for the South Bank Sky Arts Dance Award 2017. 4. The Place  is collaborating with the Korean Cultural Centre in London to host a festival featuring performances by five Korean dance companies in May. 5. 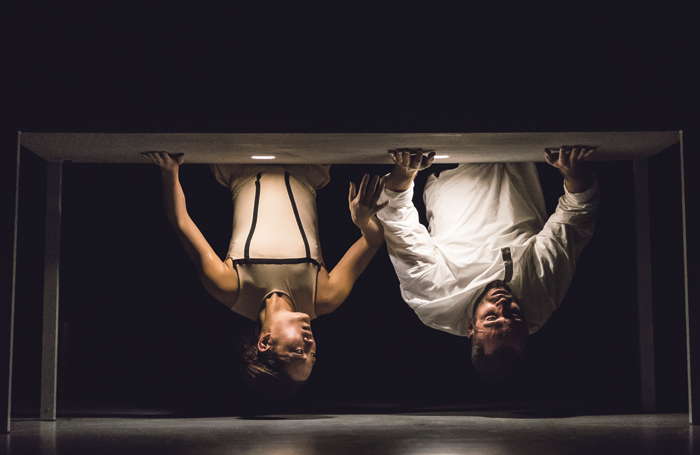 Motionhouse Dance is on a epic tour in 2018, including Canterbury; Nottingham; Neuwied, Germany; Portsmouth; Leuven, Belgium; Bregenzer Fruhling Festival, Austria; Manchester; Aachen, Germany; Kaiserslautern, Germany; Pforzheim, Germany; Budapest, Hungary; Hull. The tagline for the Dansathon is “imagine the future of dance”, but what does that mean to Jonathan Thonon from Theatre de Liege? “The future of dance is not only that technology takes the power on stage, but also how it can help choreographers and dancers themselves to develop their skills, and to develop new aesthetics.” he says. Fleuriot agrees: “When we say ‘imagine the future of dance’, it’s about dance, new technology and audience development. It’s not just about new technology helping new dance creation – though it could be that – it’s also a matter of how we can develop the audience for dance with the use of new technologies. For instance, there are a lot of people watching dance on the internet – some videos have 100,000 people, even a million views. What do we do with these audience figures, besides say ‘wow’? “As institutions, where we are very engaged in developing audiences and targeting young audiences, we need to take this into consideration; can we tap into this viral video world? Can we make people who like viral videos come to the theatre? So that might be the future of dance. That’s one answer. “It could be, how can we use AI [artificial intelligence] and VR [virtual reality] that are going to change all futures, and the present. Look at smartphones, we are Skyping right now… we have to live with these technologies. It’s changing our experiences as citizens and as artists. Alistair Spalding, artistic director of Sadler’s Wells, explains that they are also thinking a lot about how technology might influence the world of dance. “It’s about understanding what impact digital culture will have on the art form,” he says. Carre emphasises the importance of bringing people together, too, especially with Brexit looming: “At BNP Paribas, we are European – that’s our approach. We have cultural links with Sadler’s Wells and with England, and in the short term there’s no question about that. From a cultural point of view, we see our work as a vector for dialogue and cooperation at a European level. Brexit or no Brexit, England is part of Europe. 1. Theatre des Amandiers in Nantes is one of France’s leading national theatres. Its productions tour extensively in France and around the world. It receives €15,000 a year from BNP Paribas, split with Maison de la Musique de Nanterre. 2. La Monnaie in Brussels, Belgium, is an opera house with an international reputation for producing opera, dance, concerts and recitals. 3. Dublin Dance Festival has been supported by BNP Paribas in the past. 4. Flagey cultural centre in Brussels hosts a wide-ranging music programme, plus films and other culture events. 5. Le Theatre du Nouveau Monde in Montreal –BNP Paribas sponsored productions in 2010, 2012 and 2014, including Yasmina Reza’s God of Carnage. Thonon says: “The UK is one of the biggest cultural influences in Europe, and has some of the biggest artists. Brexit cannot change that. April 29 is International Dance Day, celebrated worldwide since 1982. The event was created by the Dance Committee of the International Theatre Institute to land each year on the birthday of Jean-Georges Noverre, the 18th-century French dance master who gave ballet the shape we know today. The focal event on this year’s 29th is the Dance Committee’s gala event, evocatively hosted in Cuba at Havana’s Gran Teatro de la Habana Alicia Alonso. It’s an enviable opportunity to catch five of Cuba’s top companies on the same bill: Acosta Danza, Danza Contemporanea de Cuba, Lizt Alfonso Dance Cuba, Folklorico Nacional de Cuba and Ballet Nacional de Cuba. Also appearing at the event are the Dance Committee’s international message authors – each year a message from a choreographer or dancer of influence gets circulated worldwide. The list of past contributors is appropriately wide-ranging, with alumni featuring the likes of Trisha Brown, Sidi Larbi Cherkaoui, Mats Ek, Kazuo Ohno and Merce Cunningham. This year sees messages emanating from a five-way breakdown of the world’s regions: Burkina Faso’s Salia Sanou (Africa), Lebanon’s Georgette Gebara (Arab Nations), Hong Kong’s Willy Tsao (Asia Pacific), Ohad Naharin (Europe), and Cuba’s Marianela Boan (the Americas). Tonally, messages tend to range from the whimsical and personal to hard-hitting and political, and this year is no exception. Gebara, founder of Beirut’s Ecole Libanaise de Ballet, recalls taking a group of Lebanese students to see a show by the Martha Graham Company in Jordan as the war back home in Lebanon raged. Meanwhile Sanou, artistic director of Ouagadougou’s Dialogues de Corps festival and La Termitiere centre, which opened in 2006, acknowledges his cross-border inspiration and sees it being “tested in my double belonging to Africa and Europe”. As part of the UNESCO-created International Theatre Institute, the International Dance Committee (iti-worldwide.org/dancecommittee.html) holds the remit of developing the study and practice of dance through activities such as patronage of festivals and workshops for young professionals.